An idea is a concept or mental impression. Very often, ideas are construed as representational images; i.e. images of some object. In other contexts, ideas are taken to be concepts, although abstract concepts do not necessarily appear as images. Variant: Don't worry about people stealing your ideas. If your ideas are any good, you'll have to ram them down people's throats. As quoted in A Computer Science Reader: Selections from Abacus (1988) by Eric A. Weiss, p. 404. It’s important not to overstate the benefits of ideas. Quite frankly, I know it’s kind of a romantic notion that you’re just going to have this one brilliant idea and then everything is going to be great. But the fact is that coming up with an idea is the least important part of creating something great. It has to be the right idea and have good taste, but the execution and delivery are what’s key. Sergey Brin. Interviewed by Jemima Kiss for The Guardian (UK) newspaper, ‘Secrets of a nimble giant’, Wednesday 17th June 2009. Nothing is more dangerous than an idea, when you have only one idea. Propos sur le Religion no. 74 (1938), under the pen name Alain. Alternate translation: “Nothing is more dangerous than an idea, when it's the only one we have.” IZQuotes (retrieved 10/30/18). Fundamental ideas play the most essential role in forming a physical theory. Books on physics are full of complicated mathematical formulae. But thought and ideas, not formulae, are the beginning of every physical theory. The ideas must later take the mathematical form of a quantitative theory, to make possible the comparison with experiment. 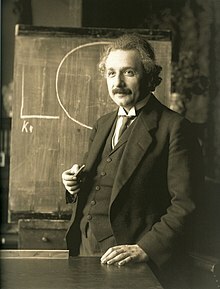 Albert Einstein, The Evolution of Physics (1938) (co-written with Leopold Infeld). Albert Einstein, Letter to Dr. H. L. Gordon (May 3, 1949 - AEA 58-217) as quoted in Einstein: His Life and Universe (2007) by Walter Isaacson. The key to every man is his thought…. He can only be reformed by showing him a new idea which commands his own. Ralph Waldo Emerson, “Circles,” Essays: First Series, p. 303 (1903). Could Hamlet have been written by a committee, or the Mona Lisa painted by a club? Could the New Testament have been composed as a conference report? Creative ideas do not spring from groups. They spring from individuals. The divine spark leaps from the finger of God to the finger of Adam, whether it takes ultimate shape in a law of physics or a law of the land, a poem or a policy, a sonata or a mechanical computer. Alfred Whitney Griswold, baccalaureate address, Yale University, New Haven, Connecticut (9 June 1957) —Congressional Record (11 June 1957), vol. 103, Appendix, p. A4545. Alfred Whitney Griswold, Essays on Education as quoted in The New York Times (24 February 1959). Religious ideas, supposedly private matters between man and god, are in practice always political ideas. Eric Hoffer, “Thoughts of Eric Hoffer, Including: ‘Absolute Faith Corrupts Absolutely,’” The New York Times Magazine, April 25, 1971, p. 60. Admiral Grace Hopper, as quoted in Built to Learn: The inside story of how Rockwell Collins became a true learning organization (2003) by Cliff Purington, Chris Butler, and Sarah Fister Gale, p. 171. A person with imprecise ideas can understand little and be of less help to others. Ignatius of Loyola, Letter to Teresa Rejadell (11 September 1536). Thomas Jefferson, Letter to Isaac McPherson (13 August 1813). Samuel Johnson, in Life of Johnson (Boswell), Volume iii, Chapter v (1770). Mr. Kremlin himself was distinguished for ignorance, for he had only one idea,—and that was wrong. The composition of this book has been for the author a long struggle of escape, and so must the reading of it be for most readers if the author's assault upon them is to be successful,—a struggle of escape from habitual modes of thought and expression. The ideas which are here expressed so laboriously are extremely simple and should be obvious. The difficulty lies, not in the new ideas, but in escaping from the old ones, which ramify, for those brought up as most of us have been, into every corner of our minds. John Maynard Keynes, The General Theory of Employment, Interest and Money, Preface, p. viii (1936). People don't understand this: Ideas are important, but they're not essential. What's essential and important is the execution of the idea. Everyone has had the experience of seeing a movie and saying, "Hey! That was my idea!" Well, it doesn't mean anything that you had that idea. There's no such thing as an original concept. What's original is the way you re-use ancient concepts. Ursula K. Le Guin, The Dispossessed (1974), Chapter 3, p. 72. Ursula K. Le Guin, The Dispossessed (1974), Chapter 6, p. 165. It's impossible not to admire a person who devoted his life to his ideas. Gideon Levy, This Biography Makes It Clear: The Founder of the Palestinian Popular Front Was Right (April 15, 2018), Haaretz. When people speak of ideas that revolutionize society, they do but express the fact that within the old society, the elements of a new one have been created, and that the dissolution of the old ideas keeps even pace with the dissolution of the old conditions of existence. Karl Marx, Das Manifest der Kommunistischen Partei (The Communist Manifesto) (1848) by Karl Marx and Friedrich Engels, Section 2, paragraph 58. The ideas of the ruling class are, in every age, the ruling ideas. ... The class which is the dominant material force in society is at the same time its dominant intellectual force. The class which has the means of material production at its disposal has control over the means of mental production, so that in consequence the ideas of those who lack the means of mental production are, in general, subject to it. A good idea is something that does not solve just one single problem, but rather can solve multiple problems at once. Shigeru Miyamoto, Interviewed by Eurogamer.net, 31 March 2010. Alan Moore, What Is Reality? There's no flesh or blood within this cloak to kill. There's only an idea. Ideas are bulletproof. Farewell. Alan Moore, V for Vendetta as spoken by "V"
If you want to have good ideas you must have many ideas. Most of them will be wrong, and what you have to learn is which ones to throw away. Linus Pauling, as quoted by Francis Crick in his presentation "The Impact of Linus Pauling on Molecular Biology" (1995). It is terrible to see how a single unclear idea, a single formula without meaning, lurking in a young man’s head, will sometimes act like an obstruction … in an artery, hindering the nutrition of the brain, and condemning its victim to pine away in the fullness of his intellectual vigor and in the midst of intellectual plenty. Charles Sanders Peirce, "How to make our ideas clear,” Popular Science, January 1878. The consciousness of a general idea has a certain "unity of the ego" in it, which is identical when it passes from one mind to another. It is, therefore, quite analogous to a person, and indeed, a person is only a particular kind of general idea. Charles Sanders Peirce, "Man's Glassy Essence" in The Monist, Vol. III, No. 1 (October 1892). We are accustomed to speak of ideas as reproduced, as passed from mind to mind, as similar or dissimilar to one another, and, in short, as if they were substantial things; nor can any reasonable objection be raised to such expressions. But taking the word "idea" in the sense of an event in an individual consciousness, it is clear that an idea once past is gone forever, and any supposed recurrence of it is another idea. These two ideas are not present in the same state of consciousness, and therefore cannot possibly be compared. Charles Sanders Peirce, The Law of Mind (1892), First published in The Monist, Vol. II, No. 4 (July 1892), p. 533. The best of ideas is hurt by uncritical acceptance and thrives on critical examination. George Pólya, How to Solve It (1945), p. 100 in the 2004 edition. One thing I learnt was never to hoard ideas because either they are not so relevant or they've gone stale. Whatever it is, pour them out. Mary Quant, Daily Express, 29th October 2008. Nothing is as difficult as to achieve results in this world if one is filled full of great tolerance and the milk of human kindness. The person who achieves must generally be a one-ideaed individual, concentrated entirely on that one idea, and ruthless in his aspect toward other men and other ideas. Corinne Roosevelt Robinson, My Brother Theodore Roosevelt (1921). New York: Charles Scribner's Sons, p. 3. Ideas are everywhere, but knowledge is rare. In the brain model proposed here, the causal potency of an idea, or an ideal, becomes just as real as that of a molecule, a cell, or a nerve impulse. Ideas cause ideas and help evolve new ideas. They interact with each other and with other mental forces in the same brain, in neighboring brains, and, thanks to global communication, in far distant, foreign brains. And they also interact with the external surroundings to produce, in toto a burstwise advance in evolution that is far beyond anything to hit the evolutionary scene yet, including the emergence of the living cell. Roger Wolcott Sperry, "Mind, Brain and Humanist Values," New Views on the Nature of Man (1965) ed., John R. Platt, pp. 82-83. Often attributed to Stalin, there is not a single source which show that Stalin said this at any given time. There is only one source outside the blogosphere which attributes the quote to Stalin, but does not provide any evidence for the attribution. That source is the book Quotations for Public Speakers: A Historical, Literary, and Political Anthology (2001), p. 121 by the USA Ex-senator Robert Torricelli. John Steinbeck, Interview with Robert van Gelder (April 1947), as quoted in John Steinbeck: A Biography (1994) by Jay Parini. Universal Peace, assuming it to be in the fullest sense realizable, might not require eons for its accomplishment, however probable this may appear, judging from the imperceptibly slow growth of all great reformatory ideas of the past. … Our accepted estimates of the duration of natural metamorphoses, or changes in general, have been thrown in doubt of late. The very foundations of science have been shaken. To say that everything is idea or that everything is spirit, is the same as saying that everything is matter or that everything is energy, for if everything is idea or spirit, just as my consciousness is, it is not plain why the diamond should not endure for ever, if my consciousness, because it is idea or spirit, endures forever. Miguel de Unamuno, Del Sentimiento Trágico de la Vida (The Tragic Sense of Life), V: The Rationalist Dissolution (1913). There is no tyranny in the world more hateful than that of ideas. Ideas bring ideophobia, and the consequence is that people begin to persecute their neighbors in the name of ideas. I loathe and detest all labels, and the only label that I could now tolerate would be that of ideoclast or idea breaker. Miguel de Unamuno, as recalled by Walter Starkie from a conversation he had with Unamuno, as related in the Epilogue of Unamuno. We are told to remember the idea, not the man, because a man can fail. He can be caught, he can be killed and forgotten, but 400 years later, an idea can still change the world. I've witnessed first hand the power of ideas. I've seen people kill in the name of them, and die defending them … but you cannot kiss an idea, cannot touch it, or hold it … ideas do not bleed, they do not feel pain, they do not love… And it is not an idea that I miss, it is a man. Lana & Lilly Wachowski, V for Vendetta based on the comic series by Alan Moore, as spoken by Evey Hammond. Lana & Lilly Wachowski, V for Vendetta based on the comic series by Alan Moore, as spoken by "V". This page was last edited on 18 April 2019, at 01:14.